This is a local version of NPR’s Ted Radio Hour. 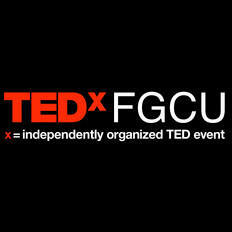 Florida Gulf Coast University organized TED talks recently and we bring you four of them. With two different themes – gaming and advocacy – we explore what some of those involved with FGCU are thinking and doing this year. One professor, one undergrad, one dually enrolled high school student/freshman and one alumni bring you the talk of their lives in TEDxFGCU. TEDx is an independently organized TED event. This is a production of the FGCU Office of Multicultural and Leadership Development and WGCU. To view all the talks presented visit here. Hunter Osking is currently dually enrolled as a high school senior, as well as an FGCU student studying economics and statistics. As the founder of the Interactive Marketing Club on campus, Osking and his friends, Grant and Evan, have been exploring the importance of Alternate Reality Games in the way that students promote and recruit for their organizations. In his talk, “A.R.G.s: The Pillow Forts of the Internet,” Osking explains what A.R.G.s are, what pillow forts are, and he reminds us about our inner child and the importance our imaginations play in our lives. Jessica Webber is an undergraduate student studying social work. As a human rights activist, Webber has stood out in the community as a vocal advocate for North Korean refugees. She’s the founding president of the LiNK Rescue Team on campus. Webber presents, “Stop Caring, Start Advocating,” a talk that creates awareness, but also demonstrates the passionate path to activism and creating change in a cause that matters. 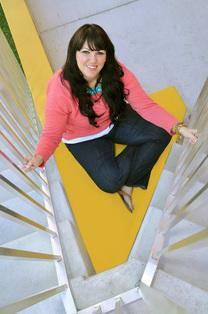 As an alumni, Maisy Page has returned to FGCU to share the story of her journey to her passion. Page graduated from the university with her Master of Public Administration and is currently a doctoral student at Nova Southeastern University. Page represents the “She’s the First” organization, a non- profit that sponsors girls’ education in developing nations. Through her talk “Many Dreams, Many Directions,” Page provides us with an inspiring message of ease and hope in pursuing your dreams. Michael Salmond is an assistant professor of digital media design at FGCU. As a digital artist, designer, and writer, he has artwork exhibited nationally, internationally, and online, and has appeared on two NPR stations. In his talk “Aging and Gaming,” Salmond explores the positive effects of video games on aging.